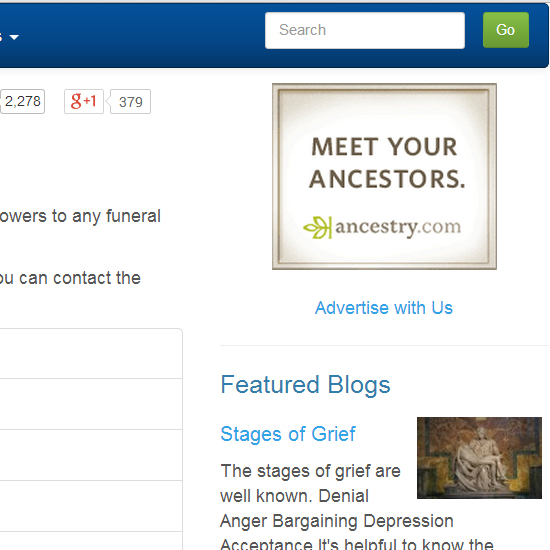 The Funeral Home Directory has 2 ways to advertise on our site...Sponsored Ads and Featured Funeral Home Listings. With over 70,000 visitors per month, there are significant opportunities to introduce our visitors to your company's funeral services and products, increasing your company's brand awareness and sales. 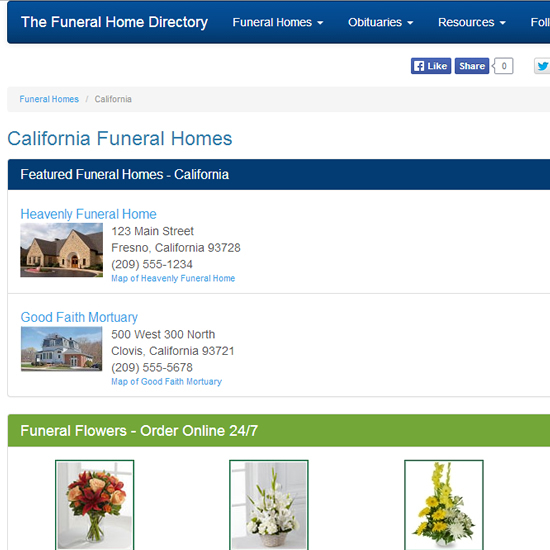 Advertising on The Funeral Home Directory is setup to show your ads on pages that geographically surround your place of business, making it so your ads are on the most relavent pages of our website. The City is typically where your business is located. Imagine a circle that surrounds your city on a map. Your city is at the center of the circle. Make the circle large enough to include all the cities you would want to advertise in. The DISTANCE is the distance from your CITY (center of the circle) to the edge of the circle. 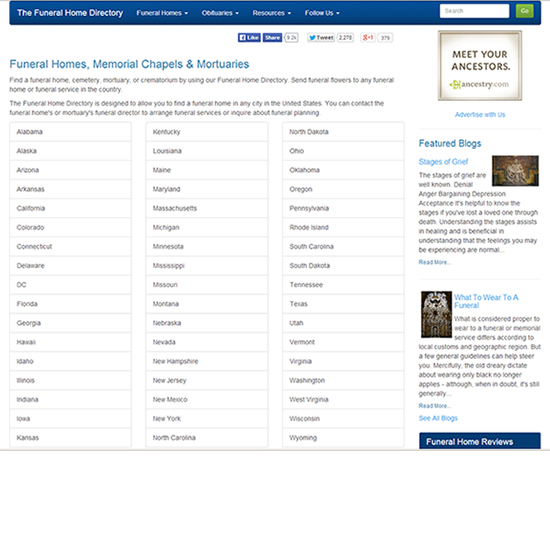 When visitors come to our website, your Ad or Featured Funeral Home will be listed on ALL of our pages that are associated with the cities within your circle. 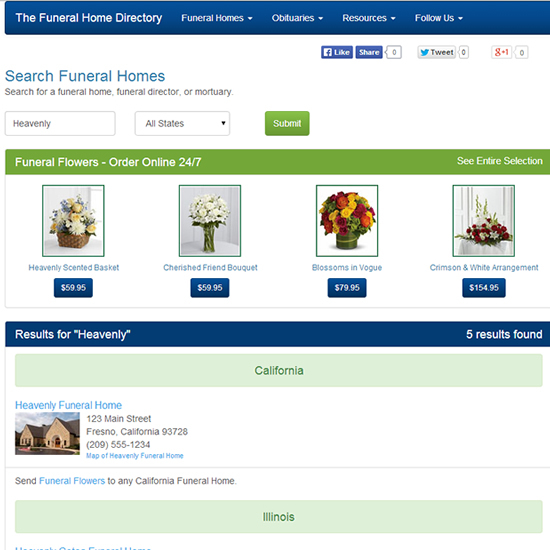 Your listing will include an image of your funeral home, which will not be overlooked! See What It Looks Like! 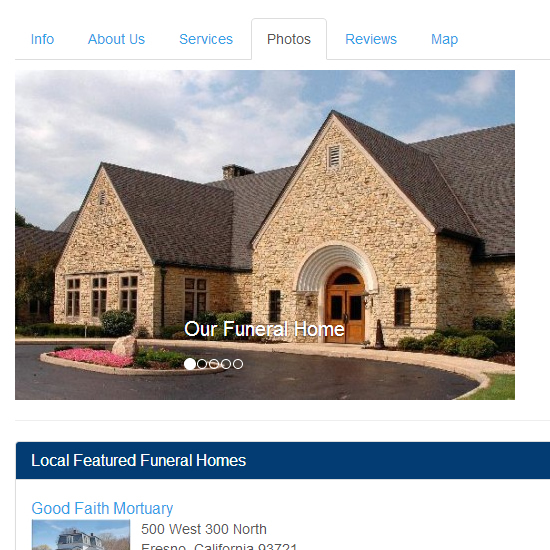 A Featured Funeral Home is the perfect way to have your funeral home noticed by thousands of visitors a month. Contact Us ►► for more information and availability. Ads are displayed in the right panel on ALL pages that are within your choosen DISTANCE of your CITY. The standard ad size is 180 x 150 pixels. Over 70,000 visitors a month will see your company's advertisement. 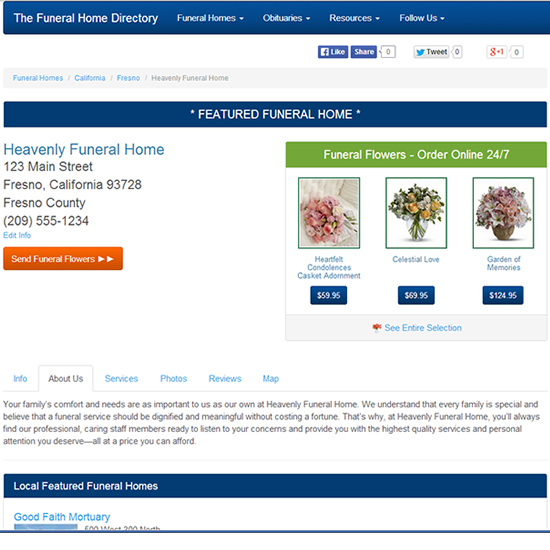 If you are a vendor of funeral home products or related services, Sponsored Ads are ideal for your company's logo and ads. 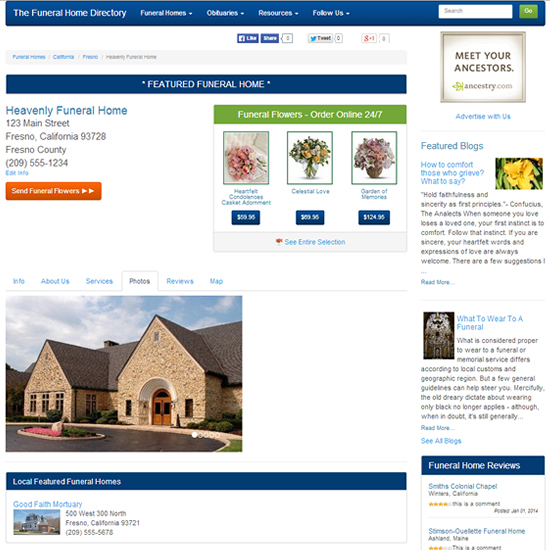 Funeral Home Directory visitors are looking for funeral services and related products while visiting our website. It's a great opportunity to offer your services and products to our visitors. 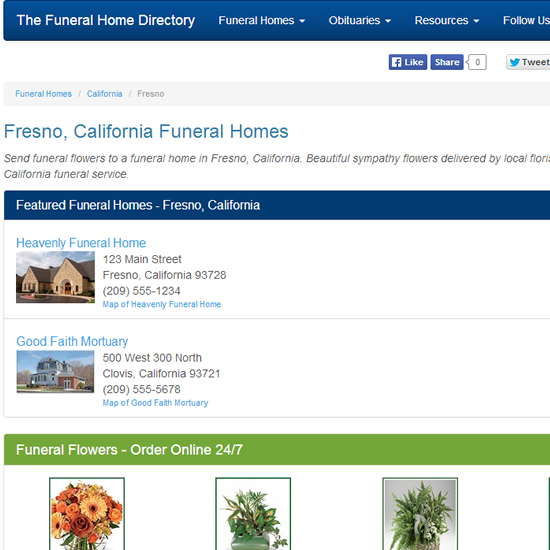 If you would like to contact The Funeral Home Directory about advertising opportunities, send us a message and we'll get back to you shortly.